Along with his wife Colleen, Dennis Rouse founded Victory World Church in Norcross, GA, attended by more than 16000 members from over 140 countries. Dennis lives his life by three principles: simplicity, sincerity and sacrifice. He strongly believes we will not experience the fullness of God in our lives unless we move from simply being a believer to a committed disciple. Dennis Rouse grew up in a small suburb of Atlanta, Georgia, during the Civil Rights era when the South was going through a major shift of integrating schools and communities. In 1970, as an eighth-grade student, he found himself as the only white person in his homeroom class. For the first time, he discovered what it felt like to live as a minority in America. In his early 20’s, after leaving the business world and answering a call to the ministry, Dennis reflected on his experience and remembered the famous statement by Martin Luther King Jr.: “11 o’clock on Sunday morning is the most segregated hour in America.” He began to wonder if it was possible for the church to change the way we worship and how we represent ourselves to the community. In 1990, God drew Dennis and his wife Colleen back to Atlanta to start a church with a vision based on the last words spoken by Jesus in Acts 1:8, and Victory World Church was born. God spoke to Dennis and Colleen about four major areas of influence — these are essential if the church is to fulfill the Great Commission. The four pillars of Victory are: building families, transforming communities, reconciling cultures and impacting nations.  In the years since it began, Victory has become one of the largest multicultural churches in America with more than 16,000 members representing over 140 nationalities. Dennis and the church have a strong emphasis of moving people from just being believers in Jesus to becoming His disciples. Pastor Dennis’s life is based on three central principles: simplicity, sincerity and sacrifice. He and Colleen have a clear and compelling goal to help the global church and its leaders become more relevant and equipped to reach emerging generations. Dennis is a sought-after speaker both nationally and internationally on many different topics, including the future of the church, how to build a multicultural church and leading the next generation. — John Maxwell, The John Maxwell Co.
"The Bible talks a lot about being a disciple of Jesus, but how does that apply to us today? In this book, Dennis Rouse breaks it down into simple terms and explains what it really means to be a disciple. I have been friends with Dennis and his wife, Colleen, for many years, and I know what he has to say about discipleship will transform your life. If you’re a believer looking to take your relationship with the Lord to a new level, this is the book for you!" "If I had this book in my formative years as a Christian believer, I would no doubt be a better disciple today. In 10, Dennis Rouse “the Pastor” comes from behind the podium, steps down from the platform, sits on stool and teaches us 10 authentic traits of a mature Christian disciple. Like me, you’ll be gripped by the compelling authenticity and biblically based pragmatic steps leading us to be a 10. Individuals and small groups will grow to a 10, and so will God’s Kingdom." "Dennis Rouse is one of the leading pastors in America and has built a dynamic church full of passionate disciples. This book spells out the practical steps of how average believers can become world-changing followers of Jesus. This passion is what’s missing in much of the church today. I believe every Christian should read this book, and all pastors should use these principles to teach their members to be true disciples of Jesus." "One of the greatest challenges of being a Christian is keeping our relationship with Jesus as our life’s primary passion and purpose. In 10, Dennis Rouse challenges us to take an honest look at our faith and shift from simply believing in Christ to actively walking with Him each and every day. Drawing from his own faith experience and thoughtful insights from God’s Word, Dennis shares practical ways we can all grow closer to Jesus and truly live as His disciples and not just as believers." "As a rule, a book is rarely more powerful than the author. When I met Dennis, our friendship was immediate and easy. As I watched God build a great church under his leadership, I saw Dennis walk with a depth that was powerful. This book comes from a man who lives the principles it describes. No wonder it is transforming lives! Read the introduction. I’m convinced it will be enough to pull you into the whole journey. This book is personal, biblical, accessible and life-changing. It’s the kind of book you read for yourself, then you’ll take it into your small group, and then into your circle of friends!" 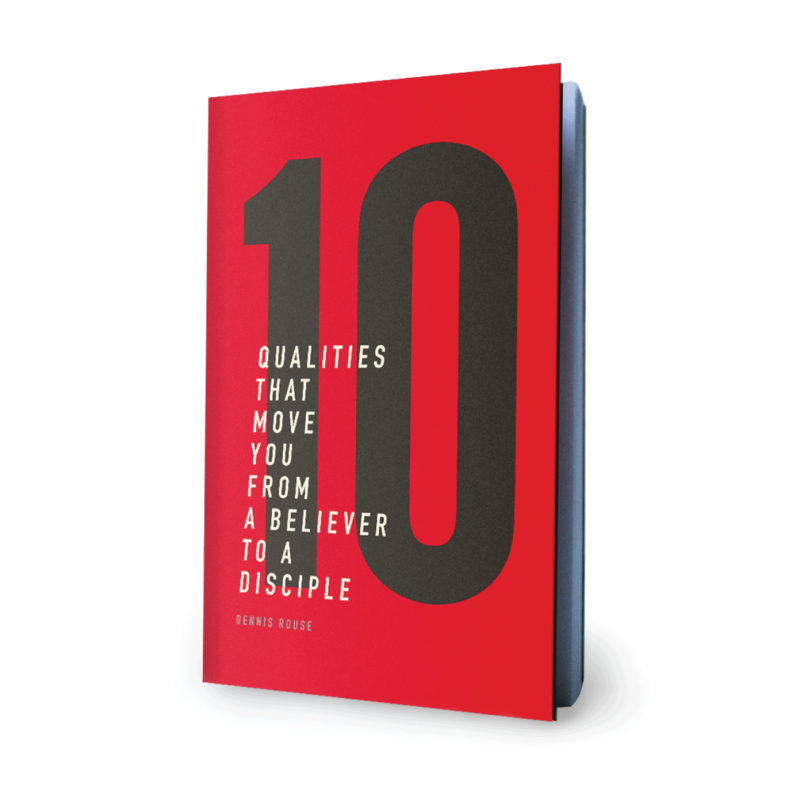 "10 will help you take your church family to a whole new level of discipleship. What Dennis has shared will fuel the passion, love and commitment of true disciples so we can be the salt and light for the Lord in our world." "Dennis is an amazing pastor who has created an incredible resource for Christians. His book 10 provides a succinct way to bridge the gap between information and transformation. In our society, we are inundated with increasing volumes of data, and information sharing has become the false positive of genuine growth. In contrast, 10 goes to the heart of the issue: it addresses the key biblical principles of personal change. This book translates discipleship into a practical template which anyone can apply. I wholeheartedly recommend it. 10 is a must-read. Dive in; you won’t be the same. Dennis has knocked it out of the park!" 10 QUALITIES THAT MOVE YOU FROM A BELIEVER TO A DISCIPLE. We’re about to take a journey! Not just an ordinary journey, but a journey into the very heart of what it means to move from merely being a believer in Jesus to becoming His fully committed disciple!